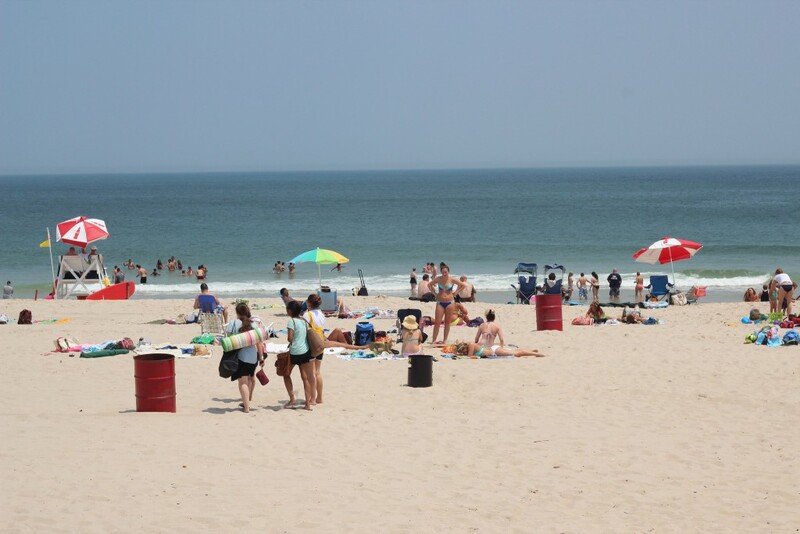 With a planned federal beach and dune replenishment project still subject to a large level of uncertainty, Seaside Heights officials are weighing their options on how to protect the borough’s beaches in the interim. “We’re looking at, in September, doing some temporary sand work,” said Mayor Anthony Vaz. Like most communities on Ocean County’s northern barrier island, Seaside Heights is still suffering from smaller beaches caused by sand lost during Superstorm Sandy in 2012. A major beach replenishment project funded by the federal government was initially supposed to begin last year, but legal wranglings surrounding easements required from private property owners for the work to commence has delayed the effort. Though the challenges primarily revolve around homeowners in Bay Head and Jenkinson’s in Point Pleasant Beach, until recently the federal government said it would not start the project until all island municipalities had all their easements in hand. Vaz said Seaside Heights would discuss its options to protect its shoreline in September, after the busiest part of the tourism season will have come to an end. Those options will include numerous ideas ranging from snow fencing that naturally helps sand collect on the oceanfront to a rock formation that could protect the integrity of the beach and boardwalk. “There’s no question that we have a lot of work ahead of us,” Vaz said. The federal project includes pumping sand onto beaches from approved “donor” areas in the ocean that match the grain quality of the sand that already exists on the beachfront. It also includes a 22 foot-tall vegetated dune that will be built in front of the boardwalk, a prospect that has raised concerns among some officials and business owners who fear the view of the ocean from the boardwalk will be compromised. In practice, state officials have told Shorebeat, the visibility of the ocean from the boardwalk will depend on the grading of a given area, with visible dune heights rising and falling as in Atlantic City. Earlier this month, state Department of Environmental Protection Commissioner Bob Martin said in a letter to Toms River officials that the federal government had agreed to separate the project into smaller areas. Lavallette, Ortley Beach, Seaside Heights and Seaside Park, under the plan, would be the first communities to receive replenishment.